Heart surgery is a big trauma to the body. 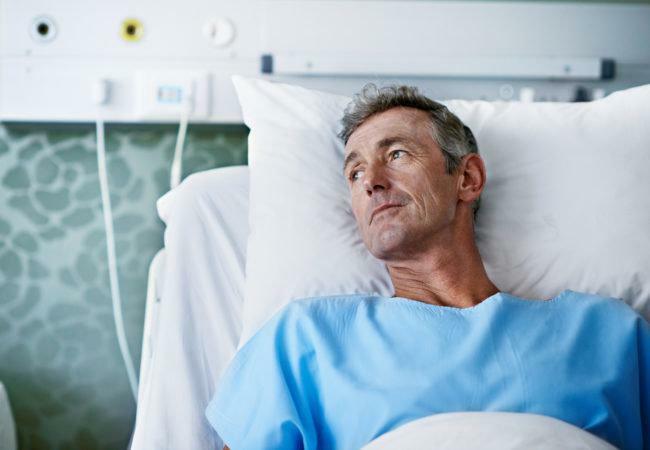 You have undergone surgery and spent a substantial amount of time at the hospital to recover. Once your cardiologist checks your heart condition and if it functions normally, you will be allowed to go home. Now that you are at home and away from the hospital, you do not have a cardiac team to monitor you 24×7. It is your responsibility to take proper care of yourself. Post-cardiac surgery care is pretty important as any increase or decrease in further complications mostly depend on it. How quickly you recover after a heart operation also depends on your lifestyle after surgery and the way you take care of your heart. A lot of anxiety and several questions occupy your mind after the surgery. But do not worry. Once your recovery process begins, slowly but surely you will be able to lead a normal life. Here is a set of suggestions for you to heal quickly. Diet plays a crucial role in the after heart surgery care. Nutritious and right diet will not only help you to regain your lost energy and strength, it will also speed up your recovery process. So, stock healthy foods at home. Your cardiologist might already have given you insights on what to eat and what to avoid until you have recovered fully. Below are a few guidelines for you to remember while preparing your diet. Since the heart is still in the recovery process, any physical, mental, or emotional stress can put pressure on the heart. Too much emotional and mental stress can cause hypertension and this will further affect the normal functioning of the heart. When the heart is strained, symptoms such as dizziness, discomfort in breathing, fatigue, and heart burn, will surface. So, be mindful about the symptoms and make sure you take necessary precautions. Along with a good diet and medication, your body now needs sufficient rest to recover quickly. Moreover, body repairs itself and recovers on its own when it is at rest. So, take enough rest and enhance your recovery process. Lifting weights, climbing stairs and any other heavy works that put pressure on the chest or stomach should be avoided for some months. If at all you have to climb the stairs, rely on the railing. Also, make sure you don’t climb all the stairs in one go. Climb a few steps, take a pause and resume. It is because climbing stairs needs more energy and will put unnecessary pressure on the chest and this will further cause chest pain. Physical movements that demand your body to make more and quick movements should be avoided for a few months. These include brisk walking, swimming, jumping, hopping, driving a vehicle or driving as a passenger on bumpy roads. These activities will cause pressure on the breastbone, also known as the sternum, and may delay the recovery process. So, try to avoid heavy physical activities. Keep the wound dry and clean. Any traces of moisture around the incision can cause infections at the area. For another few months, do not use bathtubs to take shower. Also, do not use hot water for baths as hot water increases the blood pressure in the body. Use only lukewarm water to take showers. Healing takes some time and needs a lot of perseverance and alertness. Since the heart is the most vital and sensitive organ, it needs a lot of care, and proper guidance to recover properly. Little negligence or mere forgetfulness in following the suggestions given by your doctor could lead to cardiac complications. So, strictly follow the suggestions and never skip the medicines. Do not forget to refill your prescription. In case you find it difficult to go to a pharmacy for medicines, you can buy medicines online at your convenience. You can also contact the online pharmacy stores for medicine delivery at doorstep. If you religiously follow the prescription and advices given by the doctor, very soon you can get back to your normal life.